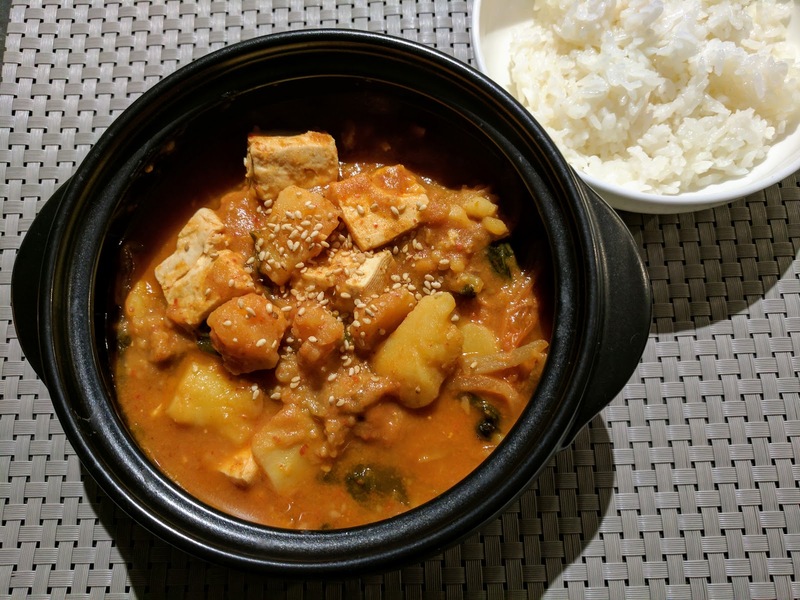 Spicy Tofu Kimchi Stew with Pork or "Kimchi Ji Gae" is a Korean comfort meal served for either lunch or dinner. 1/2 tbsp Korean hot pepper paste "go ji jung"
Note: Japanese or Korean miso paste both work, I find the Korean brands are stronger in flavour where the Japanese brands are milder. 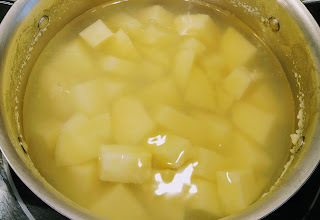 In a large pot, boil the water and cook the potatoes at medium low heat for 25 min, until the potatoes are very soft and have the grainy texture. 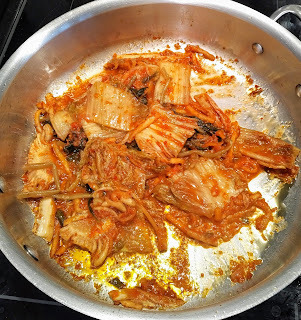 In the meantime, add sesame oil in a medium fry pan and fry the kimchi and cook for 8 min on medium heat. 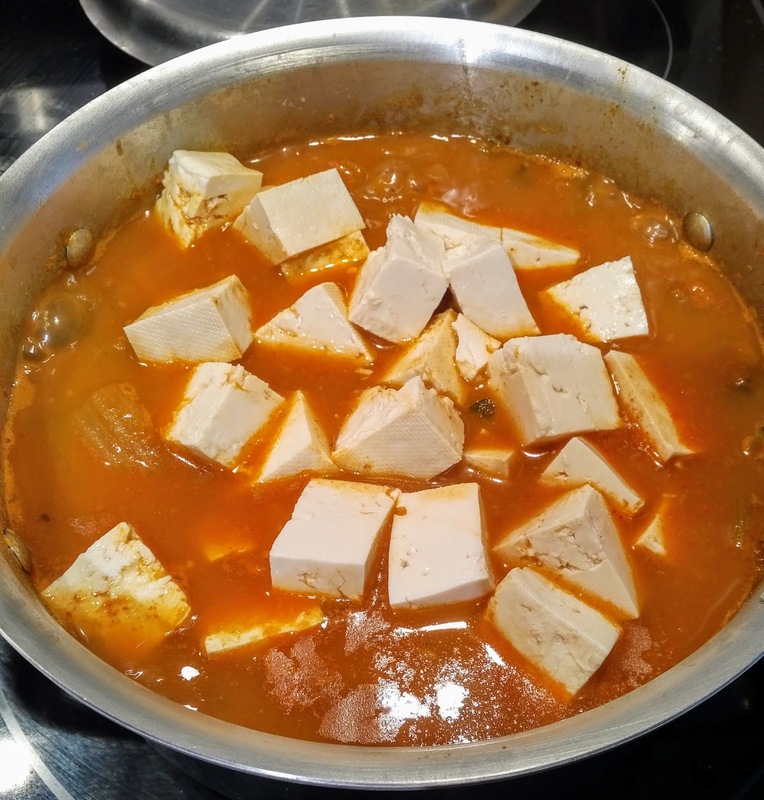 Once the potatoes are soft, add the kimchi, kimchi liquid, soybean "miso" paste, Korean hot pepper paste, soup stock powder and mix together. Cook for 8 min on medium heat. 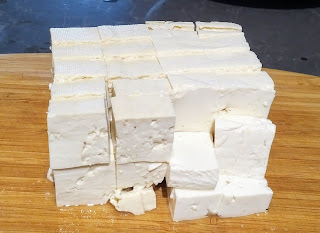 Add the pork and cook for 3 min, add the tofu and cook for another 5min, until the pork is fully cooked. 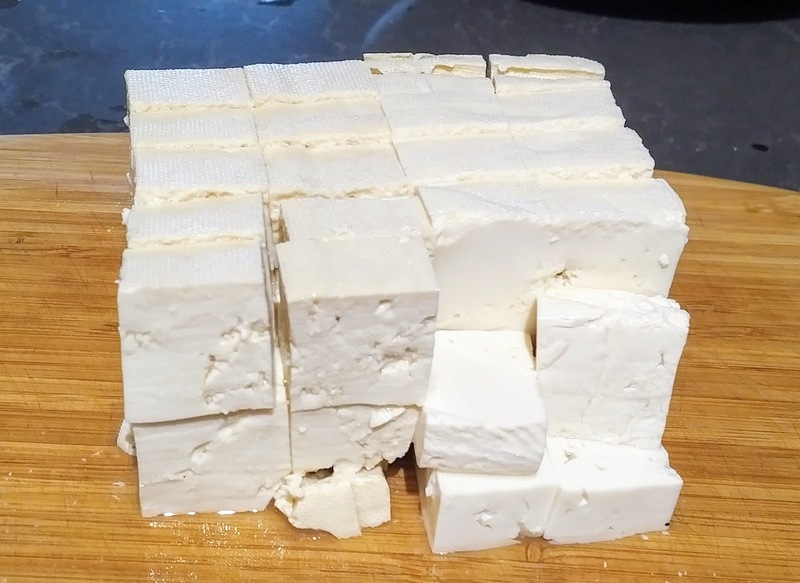 Serve in a bowl, sprinkle with sesame seeds and serve steamed white rice on the side.